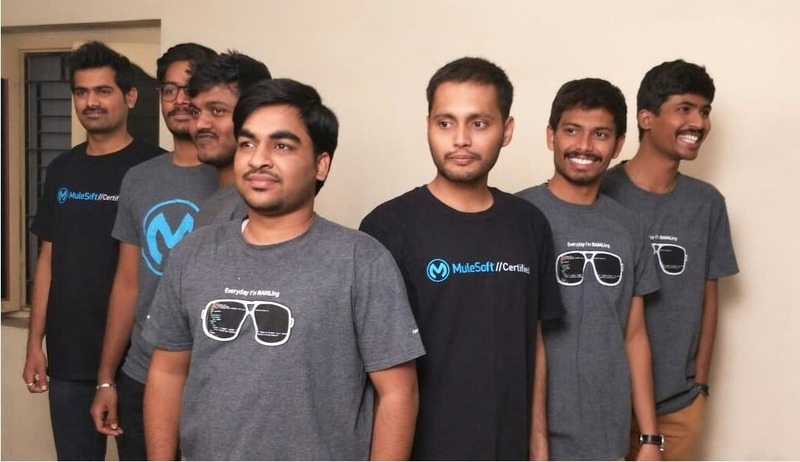 Here’s the new edition of our monthly blog highlighting great contributions from MuleSoft Developers who share great knowledge with our community. March was a great month, and we want to share some of the amazing work we’ve seen across the community. This month, our special shout-out goes to Fernando Silva, Integration Specialist at NEWTOMS, who held his very first Meetup in Caracas, Venezuela. He went above and beyond to gather local MuleSoft developers around him and share best practices for CI/CD using MuleSoft. We’ve received great feedback on this Meetup so far, and we can’t wait to see where Fernando will take his local Meetup group next! We’d like to highlight the great job that Imtiyaz Qureshi has been doing on the forums over the past few months and, in particular, during March. His answers are always complete and address our community’s questions. Thank you for the help you provide others, Imtiyaz! March was a blog-filled month! Patryk Bandurski, Senior Consultant at PwC Poland, shared some helpful tips on using the cache component in Anypoint Platform. Read his blog. Joshua Erney, Software Engineer at MS3, published another great blog detailing the reduce function in DataWeave (DW) language. Jason Estevan, Software Engineer at Intuit, not only created a new video on uploading custom data into Salesforce using MuleSoft, but also published a great blog sharing how he was able to use MuleSoft to process 200,000 records in under 3 hours! 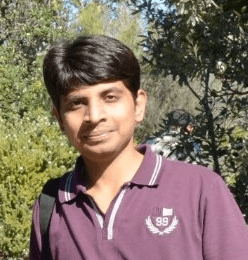 This month, we feature Ujjawal Kant, a longtime member of the MuleSoft Community, and Consultant at Infosys based in Bangalore, India. Ujjawal holds every MuleSoft certification, and has recently passed the Integration Professional certification too! Meet Ujjawal at an upcoming Meetup in Bangalore! 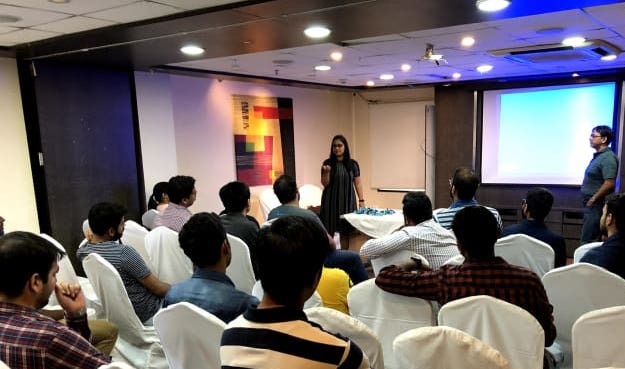 This month, Caracas (Venezuela) and Pune (India) had their first Meetup. We’ve already mentioned Caracas at the beginning of this post, so we’ll look more closely at Pune now. The event in Pune had extraordinary traction, and we already have a long waitlist for the next one! We’ve received great feedback about the work that our local leaders put into these events. Thank you Santosh Ohja, Integration Architect at Infosys, and Chetan Dharma, Solutions Architect at MuleSoft, for your involvement in your local community. Many other groups met in March as well, continuing to building stronger relationships with and between their attendees. The MuleSoft community loves you for that! 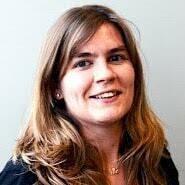 Take a look at more details about our past Meetups, and see upcoming Meetups in April. We’d also like to give a special shout-out to Rajesh Rajmangal and Thomas Peach from Pace Integration, who’ve been running our London group for a long time. In March, they put together a Meetup that ended up being their largest ever! 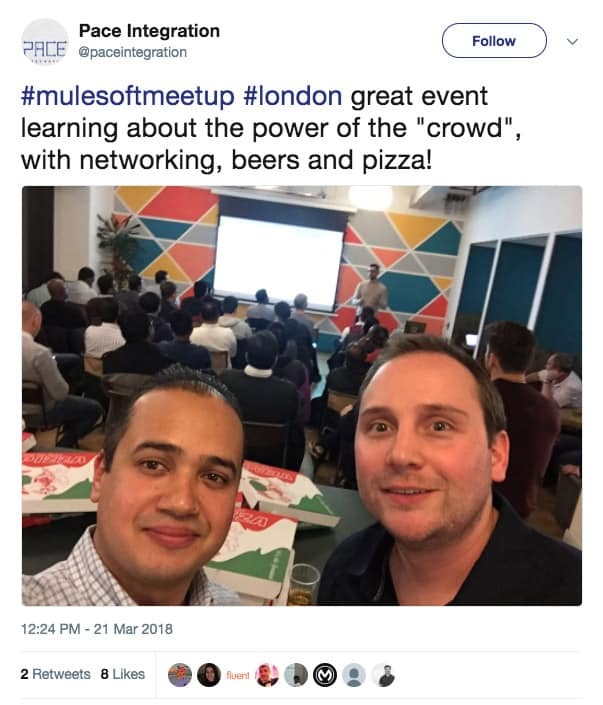 London is definitely a hot spot for the MuleSoft community and we can’t wait to see what’s next. Pakala Venkat Reddy and his team from EAIESB: Rakesh Palugula, Thota Kranthi Kumar, Santhosh Ramagiri, Gumma Muralidhar, Abdul Ahad and Venkat Rachapudi. That is it for this month! We’d love to get your feedback on this blog series, so comment below! And if you see any great contributor, whether they are writing blog posts, speaking at a Meetup, or simply answering questions on the forums, tweet us @MuleDev.